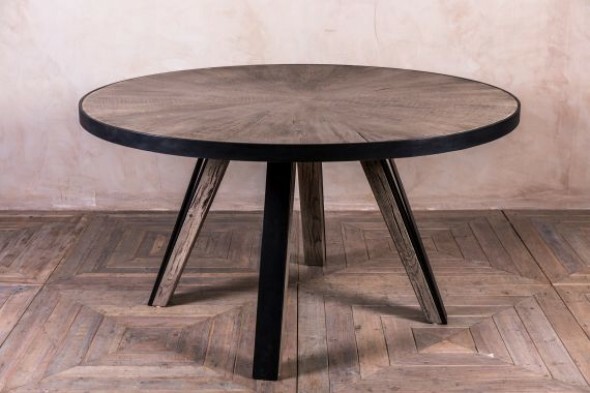 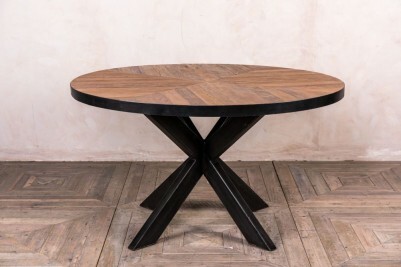 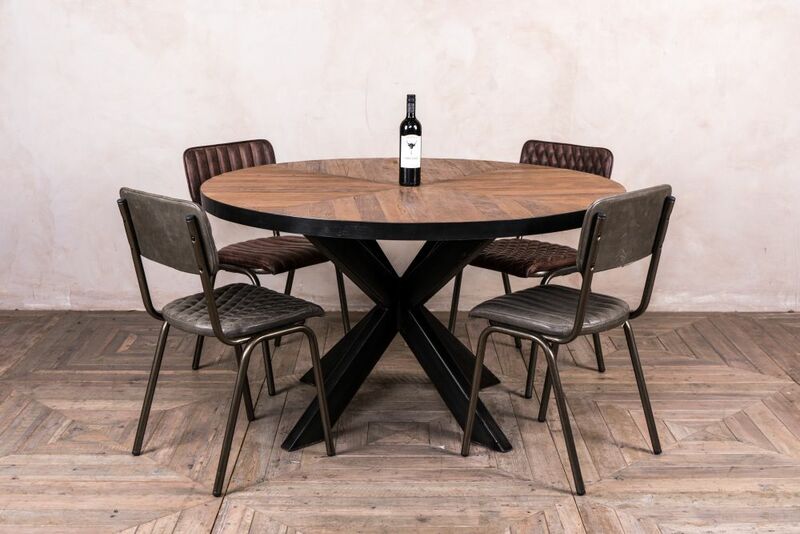 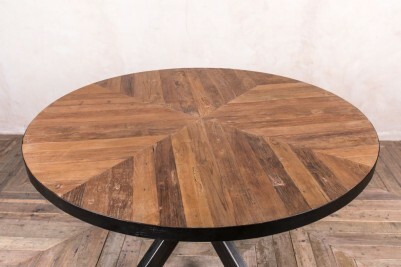 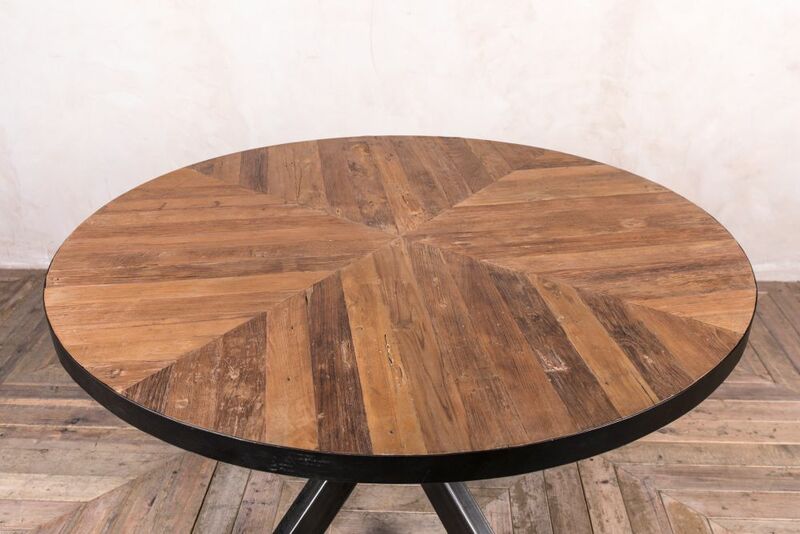 With its black x-frame base and distressed wooden top, this round metal dining table is a striking piece of furniture. 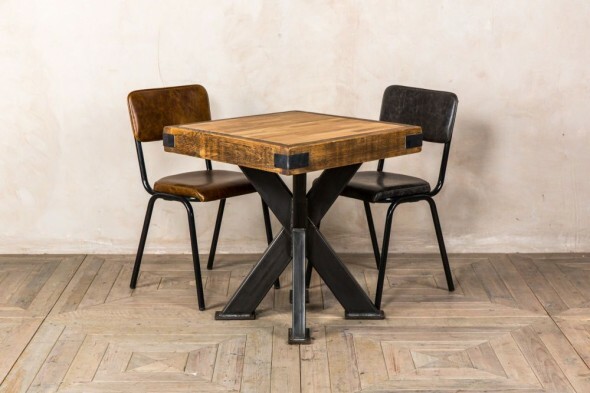 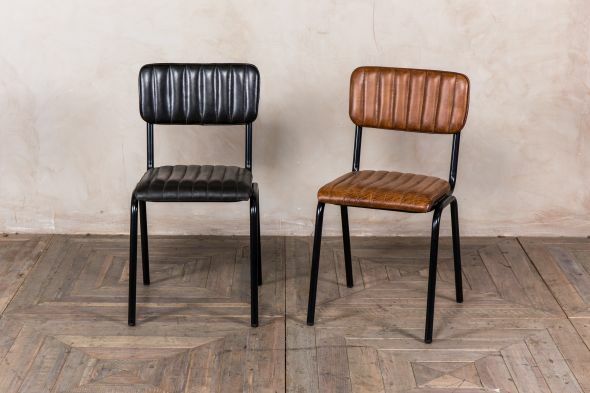 Perfect for an industrial style kitchen or dining room, the table would look fantastic with leather or upholstered dining chairs. 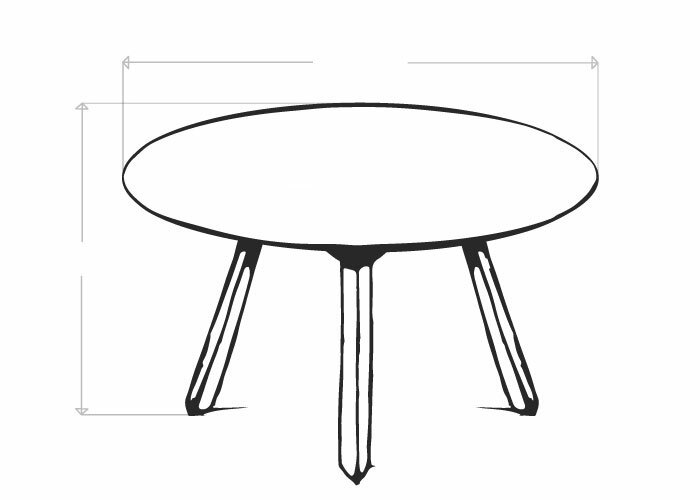 The table can accommodate 4-5 people, depending on the size of the chairs. 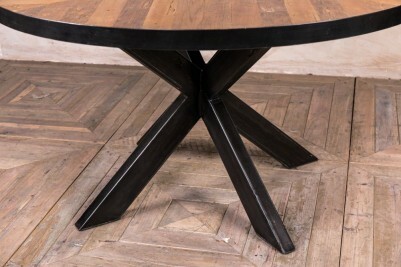 The table has a metal x-frame base and metal edging that encases the reclaimed wood top. 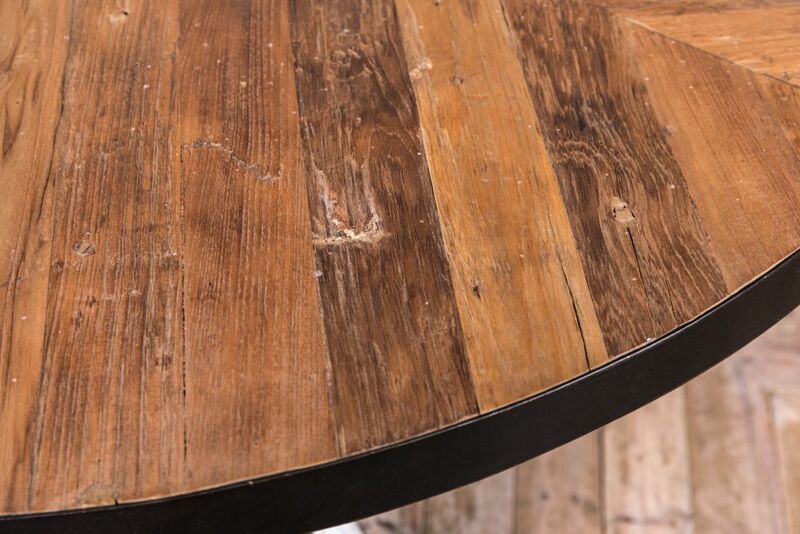 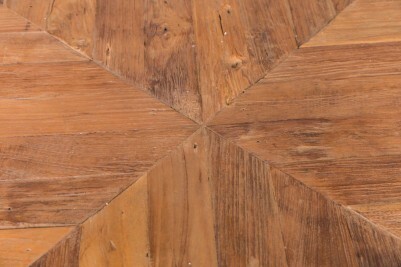 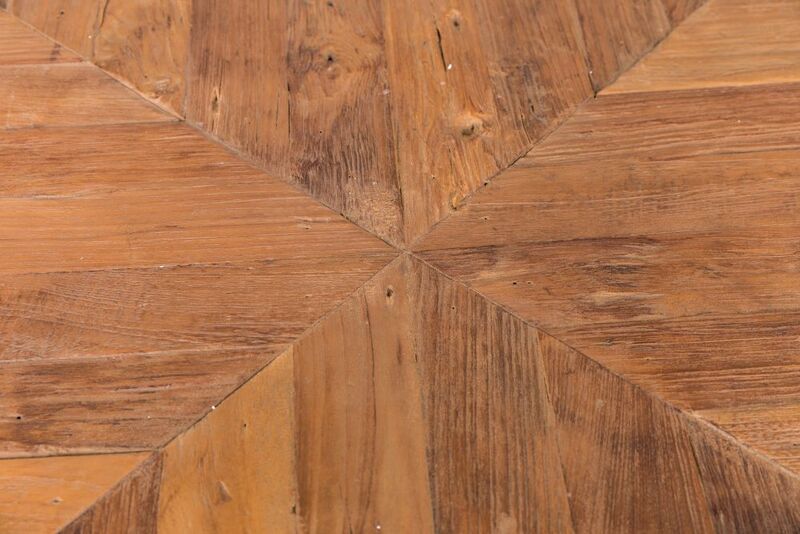 The wooden table top has an aged and distressed finish, giving it a well-worn and characterful appearance.